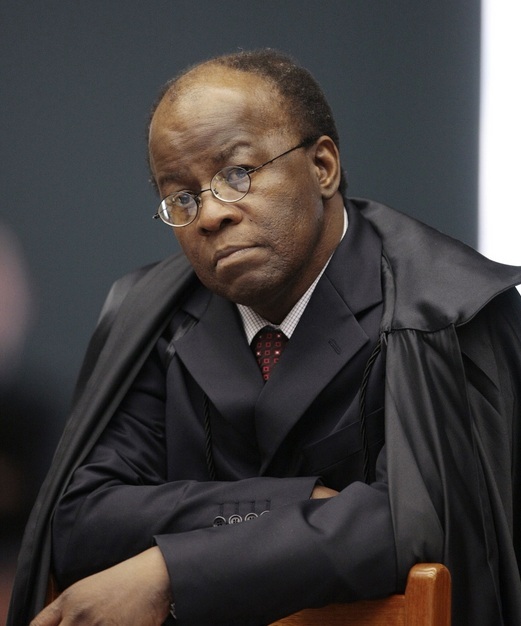 BRASILIA- President of Brazil’s Federal Supreme Court (STF) Joaquim Barbosa announced his early retirement on July 1, citing back pain. Barbosa, who became the country’s first black Supreme Court judge, is to step down at the age of 59, more than 10 years earlier than the court’s official retirement age of 70, news network G1 reported. “I have fulfilled my duty,” said Barbosa, who presided over one of Brazil’s biggest public-sector scandals involving a vote-buying scheme in the legislature that led to 25 convictions. Barbosa was reported to pursue a political career, but he dismissed the speculation, saying he was not interested in politics and his decision was due to severe lower back pain. Recent surveys have shown Barbosa has considerable support among the electorate should he enter politics. Brazil is to hold general elections in October, but Barbosa would be ineligible to run as the deadlines for party affiliation and registration have passed. Asked if he would run for public office in the future or back a given candidate in the elections, Barbosa said no. Barbosa was nominated to the court in 2003 by then president Luiz Inacio Lula da Silva. Joaquim Barbosa took the office as the acting president of the court in November 17, 2012 because of the mandatory retirement of his colleague Ayres Britto. 97 million Brazilians, or 50.7% of the population, now define themselves as black, compared with 91 million or 47.7% who label themselves white.